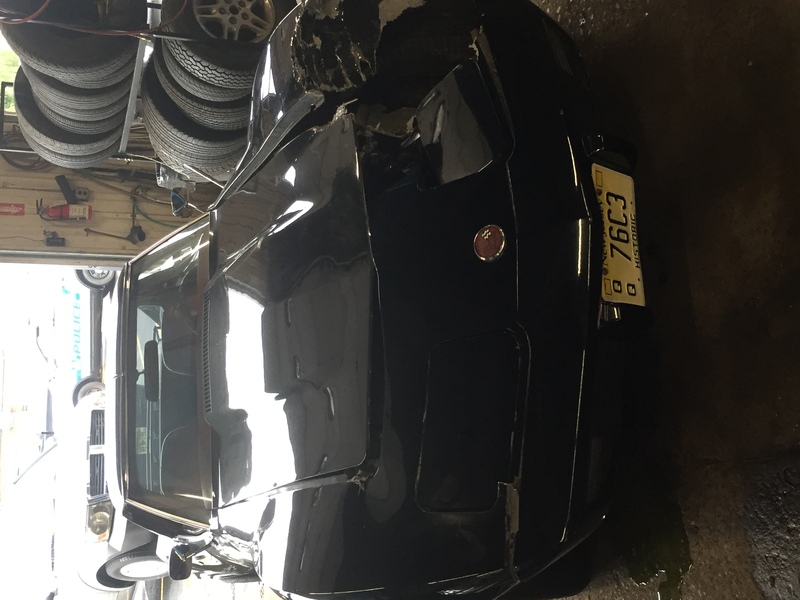 Had the '76 in for brakes and the worker took it out for a test drive and hit a telephone pole. 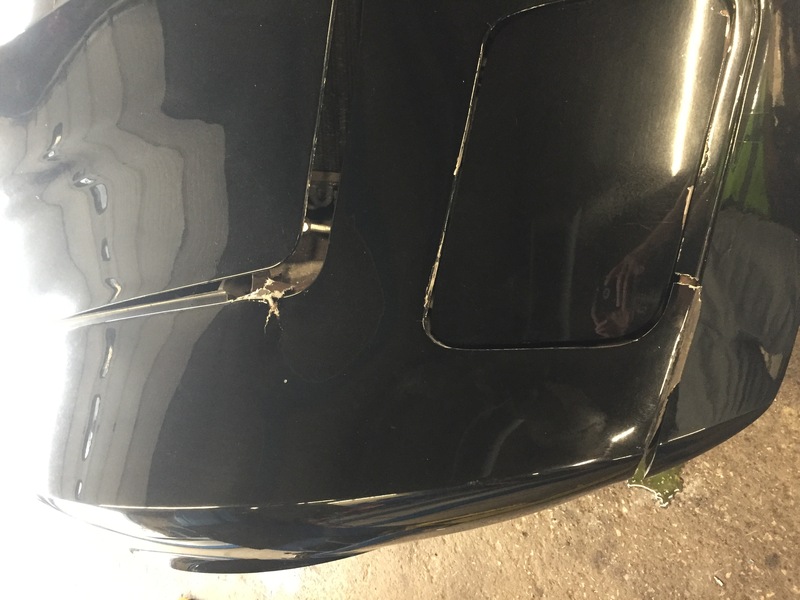 Just got back from body shop - frame is bent and car is totaled. Jeez - was about 90% done! I haven't told my son yet, he's going to a concert with his girlfriend and I don't want to spoil the night. I'll sit down with him tomorrow over a beer and break the news. We'll be on the hunt for another one - after we settle the claim. Wow..., what a shame to see that!, I hope you are made whole again. 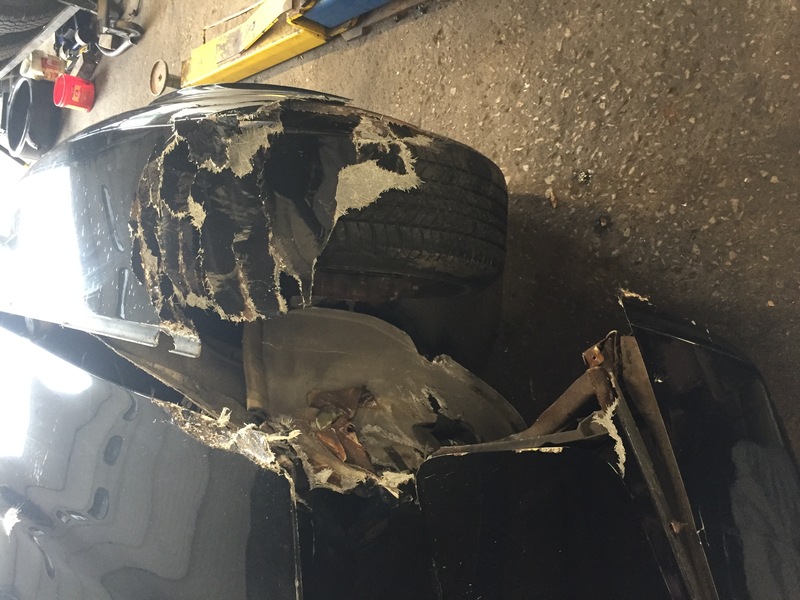 It was a nice car, but it took a pretty bad hit. 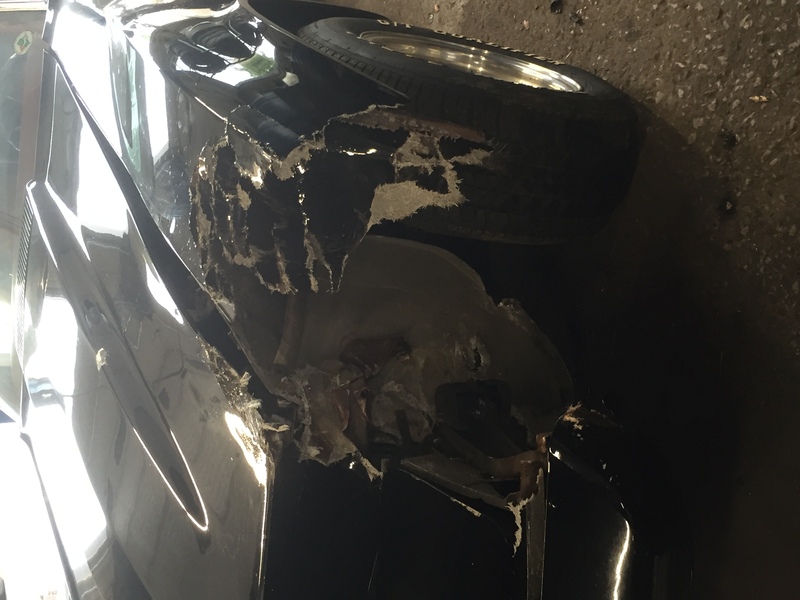 Just submitted the claim and my insurance will go after the shop's insurance. 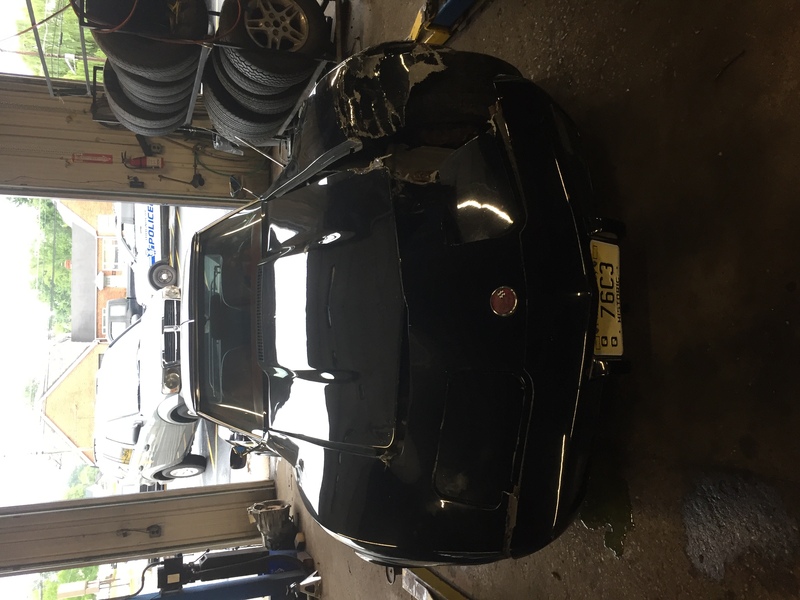 Just hate to see another C3 out of commission. Feel like recommending your favorite brake shop to the rest of us? No, especially since the worker had no driver's license , was suspended and an illegal. Yeah, great, lets more of them in the country. Just another example. I hate to hear it. Similar thing happened to the first Vette I ever bought.. a '93 40th Anni. Salesman joy riding lost control and crashed it into a tree right in front of the District 6 SC Highway Patrol building. There were 5 or 6 cops b.s. 'ing in the parking lot at the time who got a front row seat to stupidity. Didn't end well for him. A moment of silence please. Sorry for your loss. Another reason to do all repairs in house. that's terrible , sorry for your loss . I hope the insurance claim works out for you . So, so, so, sorry. Glad you're okay and hope, as others have mentioned, the insurance company will make you whole. If you named the shop perhaps others could avoid it. I had something similar happen to one of my vehicles last year. At the time, my attorney recommended that I refrain from commenting publicly until the matter was settled. It might be best for the OP to keep that info private for the time being. You don't want this to get uglier than it already is especially with an unlicensed and illegal driver. If you want the shop to pay up and take care of this ,,,,,,I would not say a thing.They may want this to go away more than you do . Hopefully the insurance company "does the right thing" for you. wow, that's crazy! I too hope it all works out in the end for you.